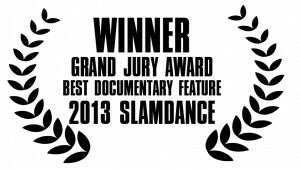 BIBLE QUIZ wins Slamdance Grand Jury Sparky Award for Best Feature Documentary! Sorry for the delay in posting this but in case you haven’t heard the news, BIBLE QUIZ won the Slamdance Grand Jury Sparky Award for Best Feature Documentary! We are so excited and honored to win this award. We had a blast and we loved getting to know the incredible festival staff, programmers, interns and other filmmakers. We couldn’t imagine a more amazing place to premiere the film! Thank you Slamdance! Keep updated on screenings, release and how to see the film! Big Announcement-Awards & Theatrical Release!!! Upcoming screenings in NYC, California, Michigan + more! Newport Beach Film Festival screening!